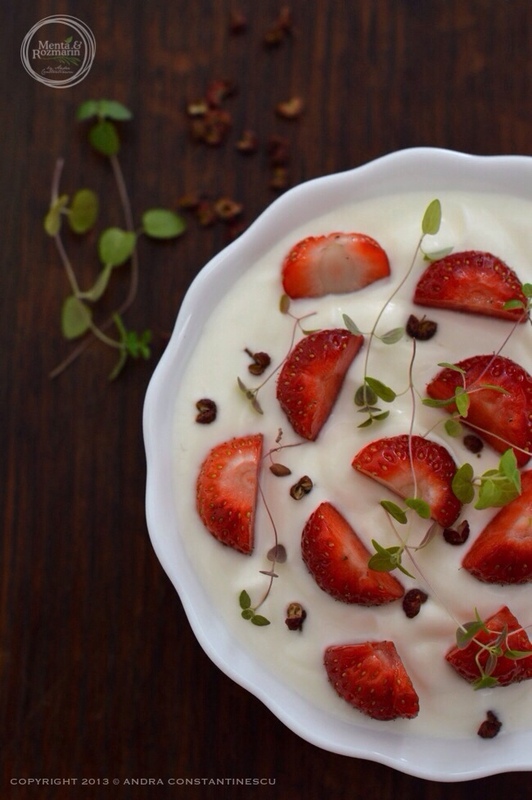 A quick and easy summer recipe featuring yogurt, strawberries and pink sichuan pepper, perfect for breakfast, or even as a dessert on a hot summer day. It all started with the clasic strawbery and yogurt combination: I had the yogurt and just bought a fresh punnet of strawberries without having anything special on my mind. Then I saw my fresh thyme sitting on the sunny balcony outside and instantly thought that it might work just well with strawberries. And then it was the pepper: the elegant, subtle, citrusy, woody, red sichuan pepper that I grabbed from the Peppermongers‘ stall at Food Blogger Connect last weekend. There is something special about this pepper (which, by the way, I just found out that is not even a proper pepper, is more like the shell of some seedes): maybe the fragile flower-y look of it, or maybe its surprising taste and the fiery feeling left on my lips, that makes me love it even more! Yes, I admit, I love peppers! Somewhow I’ve managed to collect a few varietes as the green one which I like in vegetable stews, the long one that I use in masalas sometimes, the sweet pepper which sometimes I add to my hot chocolates, the red and the classic black that I always have on my table :). And I also have a thing with salts (but that’s another story). So, back to today’s recipe. Well, it’s not exactly a recipe, as I think it would be useless to give exact quantities. It is more like an invitation for you to experiment, not only with quantities, but also with your peppers and fresh herbs. Put some red sichuan pepper into a dry pan and alow it to get warm for a minute on the hob, on low heat. Leave it to cool, and crush it gently. Add the strawberries, sprinkle some fresh thyme on top, and then add the red sichuan pepper. If you wish, add some soft muscovado sugar or honey before you serve. if you don't particularily like the thyme, you can always use some fresh mint, I tried it with mint and is just as good. 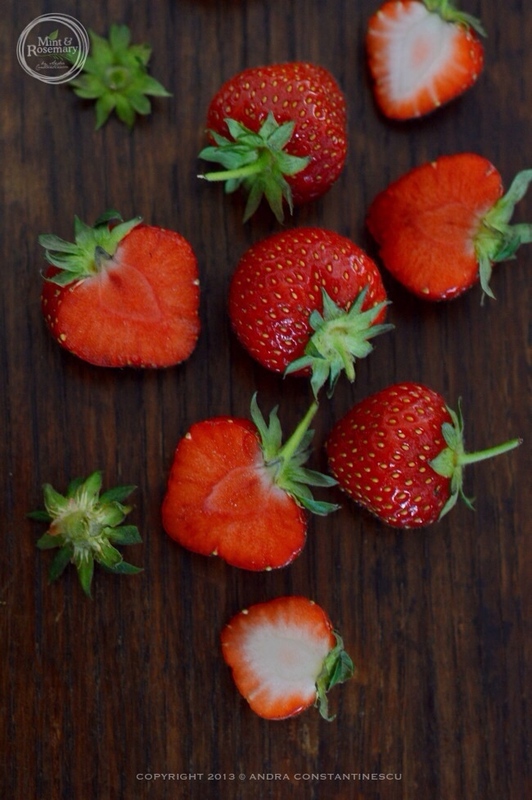 I found the Peppermonger stand so interesting – who knew pepper could be so different and stimulating….and go with strawberries! Lovely pics. I loved the Peppermongers too, have you got to taste their long pepper ice-cream? It was sooo good! So happy you liked the photos!